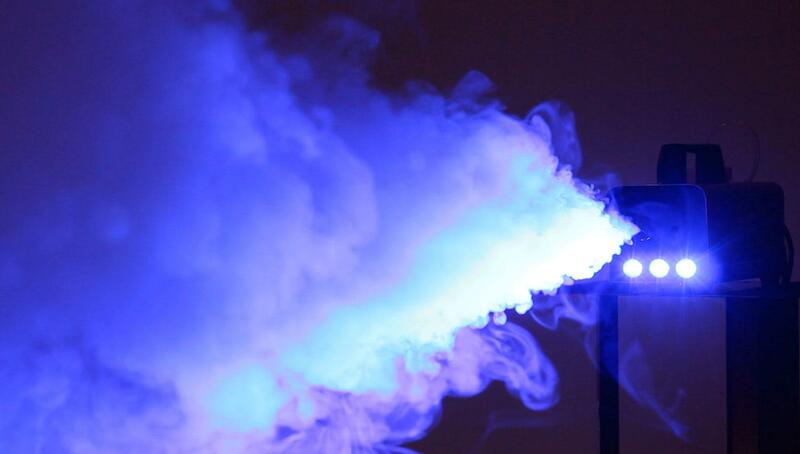 Terrific Light Effects with Blue LEDs! 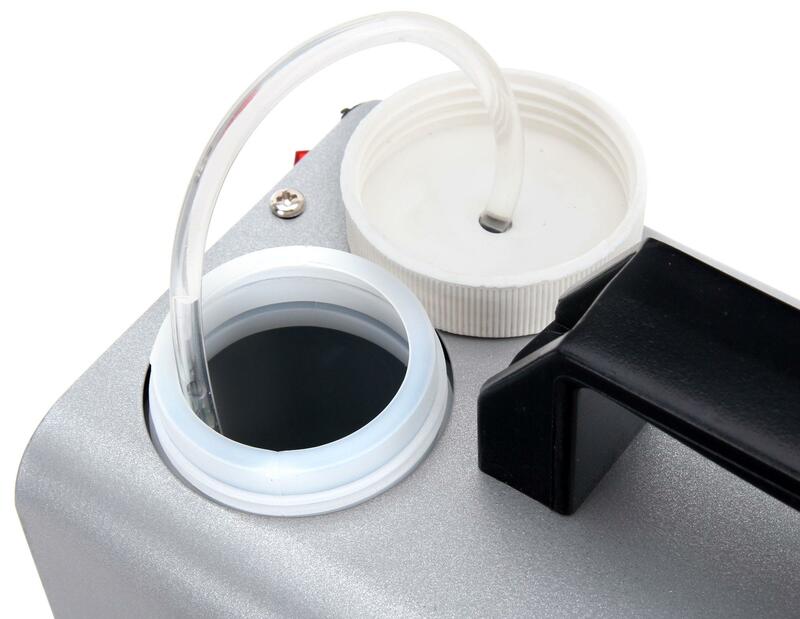 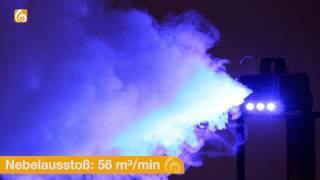 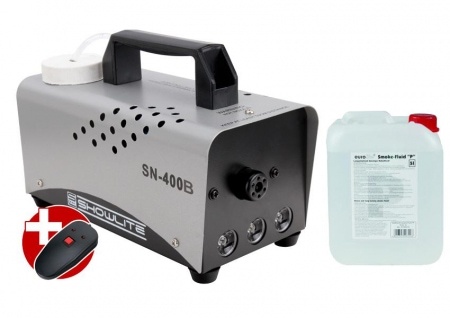 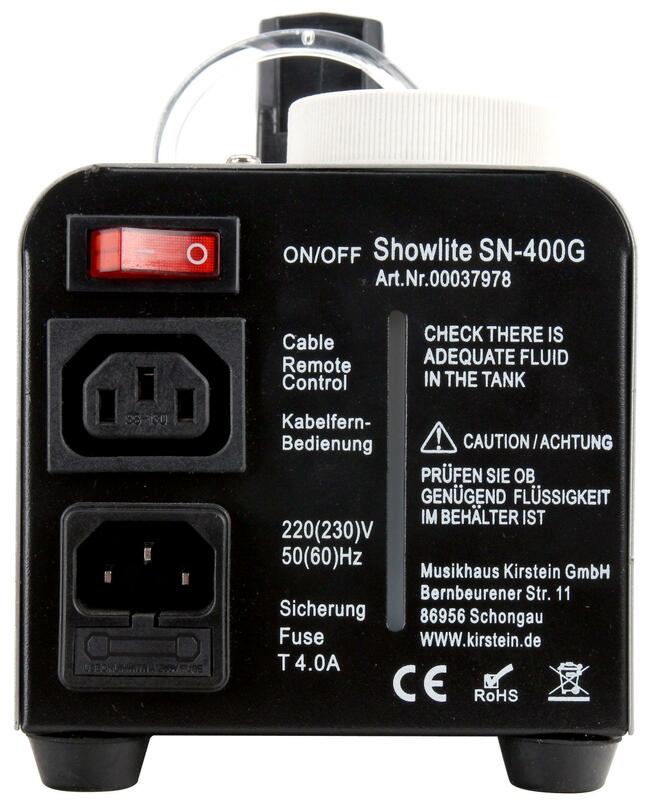 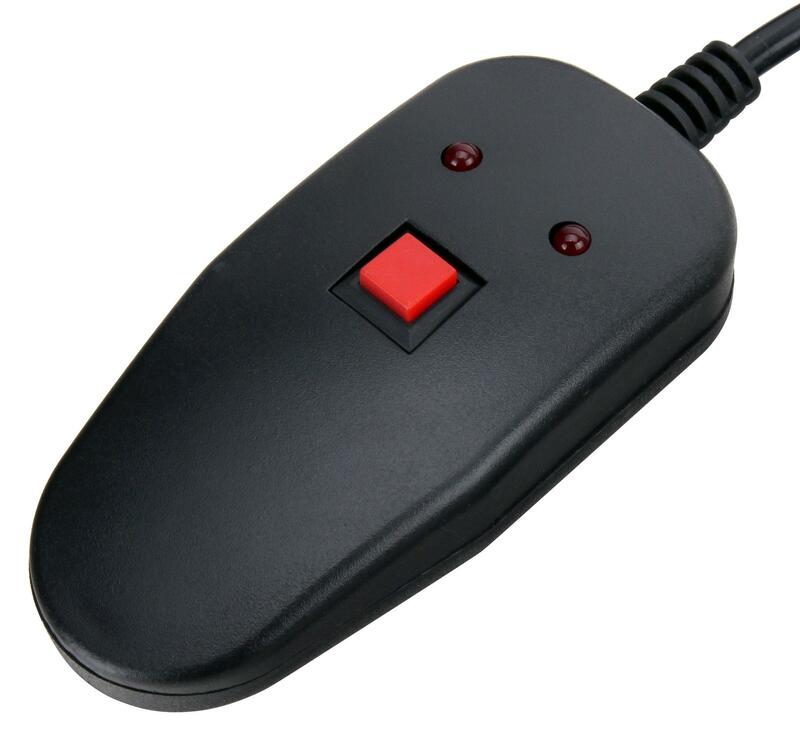 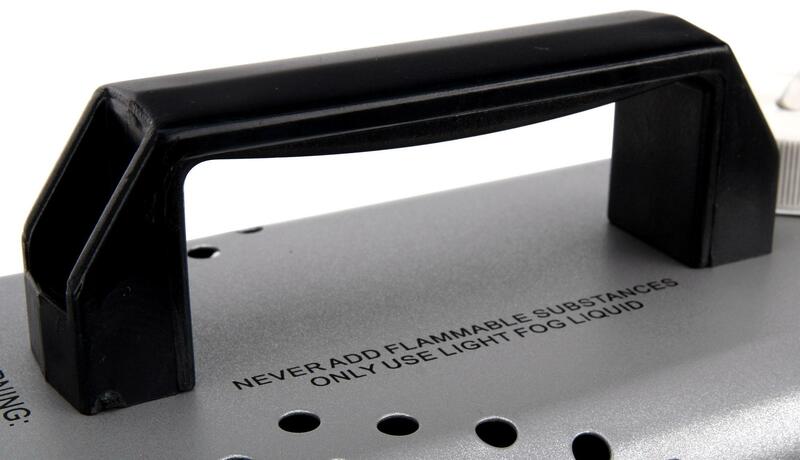 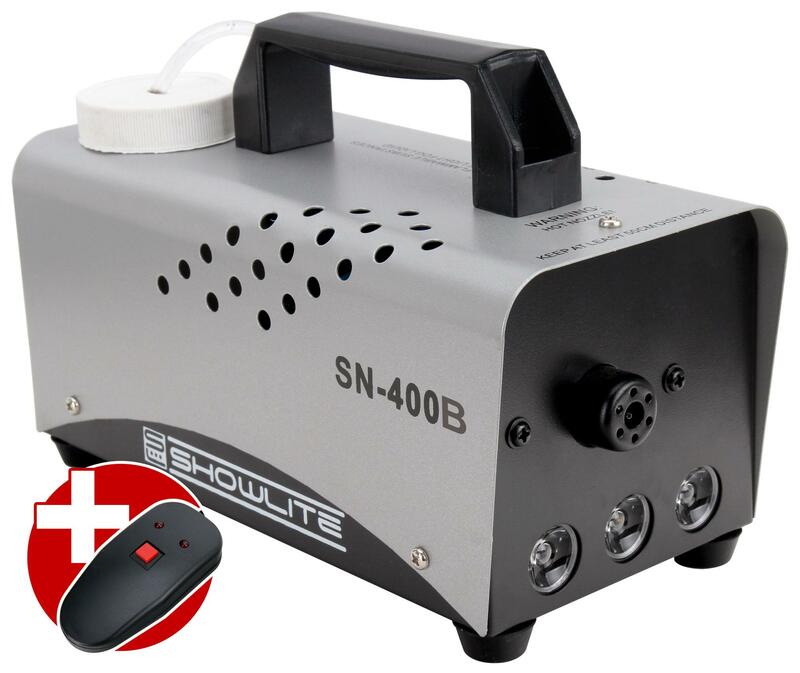 The Showlite SN-400B LED fog machine is the ideal device for DJs, in basement parties, in clubs or on small stages. 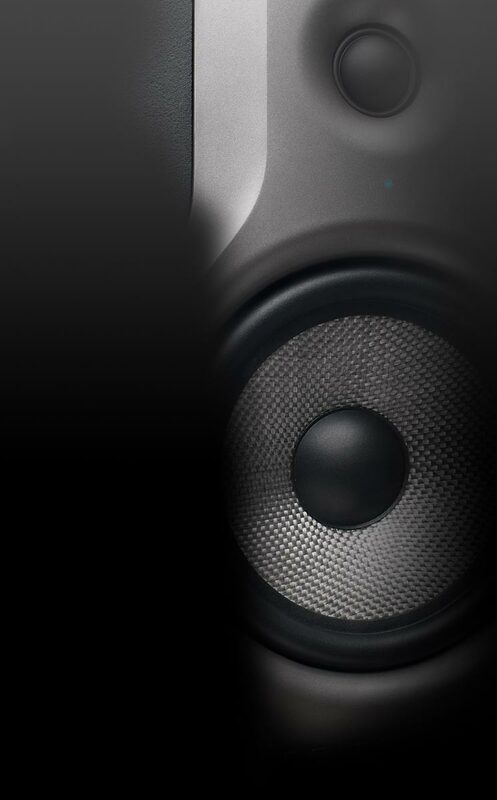 With its compact dimensions, this machine can be easily stored and easily set up on small stages and DJ stands. 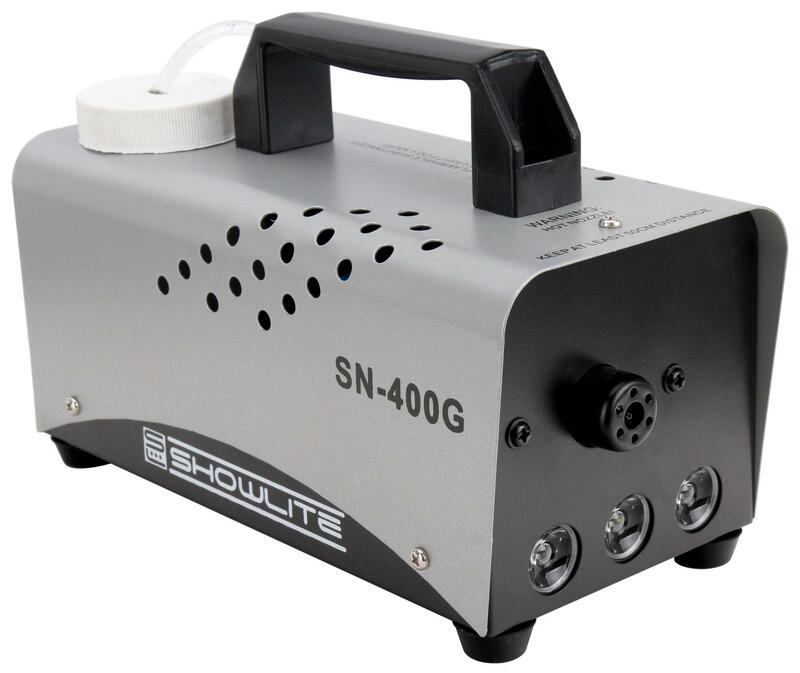 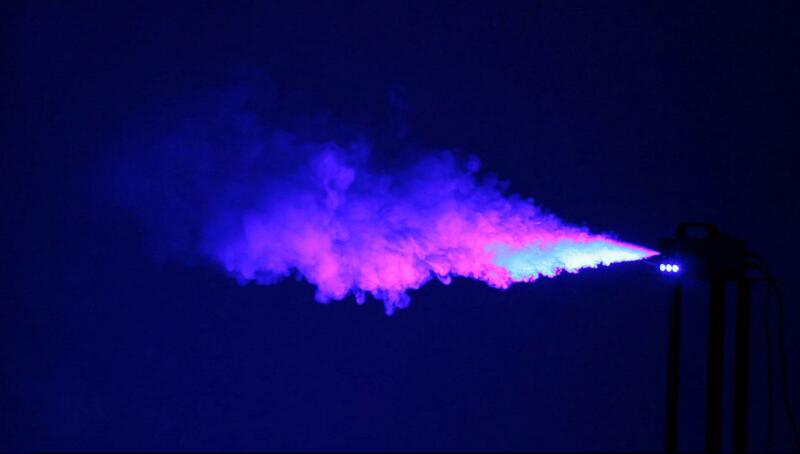 With an output of 56 m³/min, the SN-400B provides enough ambient fog to accompany incredible light shows. 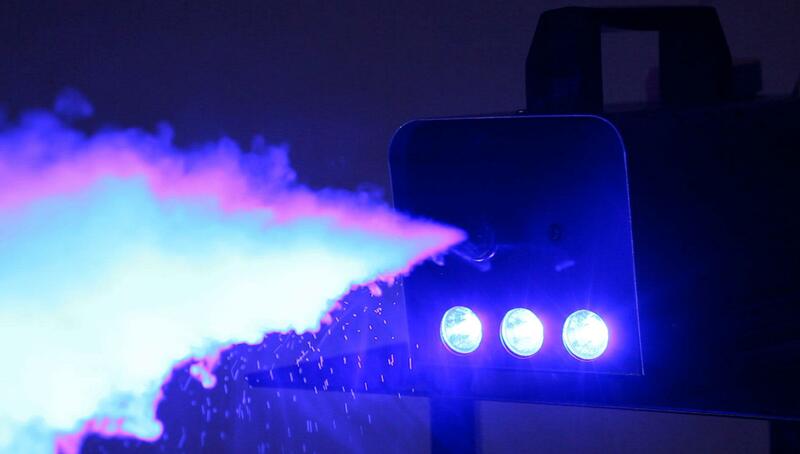 For even more great light effects at your next house party, this machine has three built-in blue LED lights. 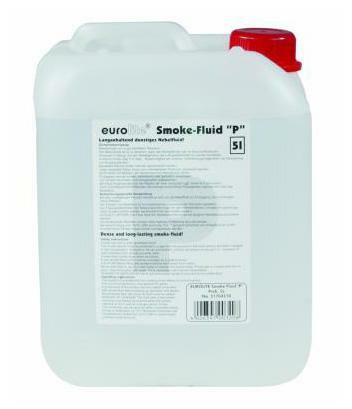 To get you off to a quick start, this complete set includes a 5-L bottle of P Eurolite Smoke Fluid.